R&S Tech Services has been involved in the design, manufacture, and testing of various water cooled bearing housings for many years. 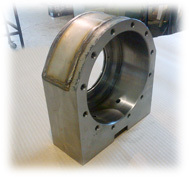 These housings are specially designed to keep bearings cool in hostile environments where bearing life is critical. We can ship throughout North America , usually within 3-4 weeks, from design state. 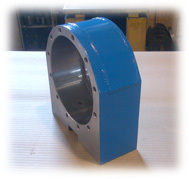 We also can supply the end covers, and water cooled shafts that work with those housings. Please contact us for more information on specs and capabilities.